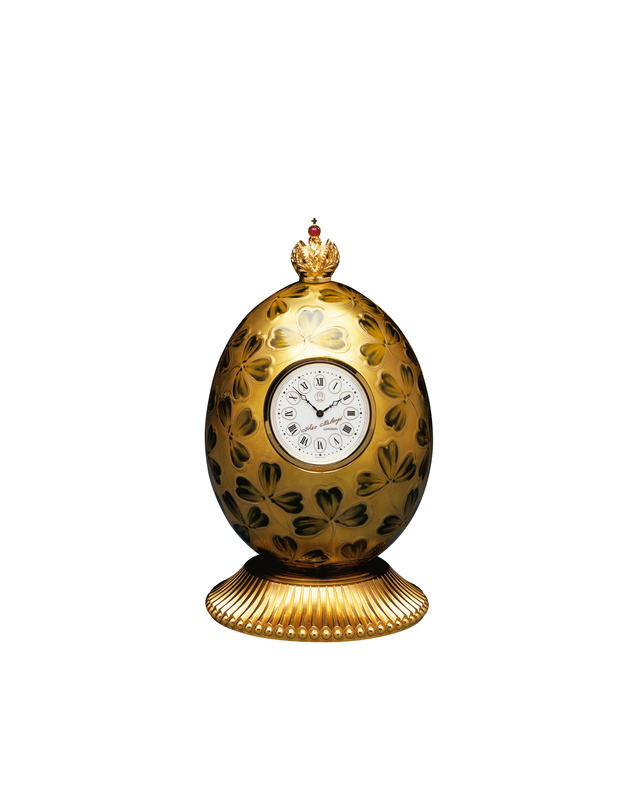 A low relief of clover leaves in deep green enamel adorn the surface of the Egg which is made of 24% lead crystal and hand painted with glass enamel and 23 carat gold. The quartz crystal clock face complements the classic lines of the whole, which is surmounted by the Imperial Crown in vermeil. The base, ornamentally engine turned, is gilded with 24 carat gold. 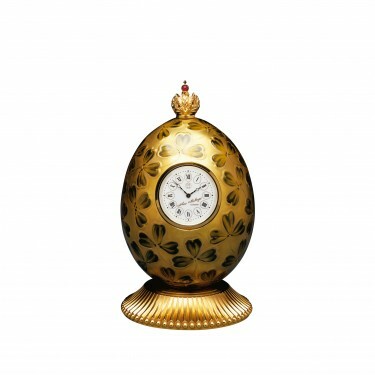 This Egg would not be complete without a surprise - to bring good fortune. The Clover Egg has a single four-leaf clover somewhere upon it. Materials: Crystal, glass enamel and 23 carat gold.